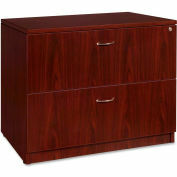 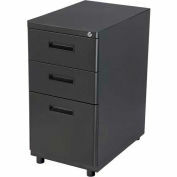 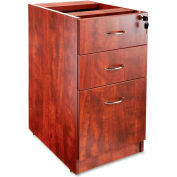 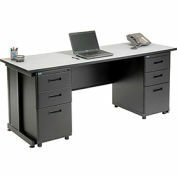 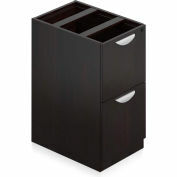 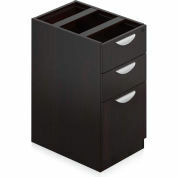 Hutch with four doors is part of Lorell 69000 Series Laminate Furniture with high-quality laminate construction and metal-to-metal cam-lock connections. 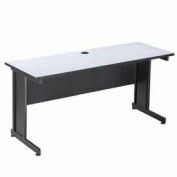 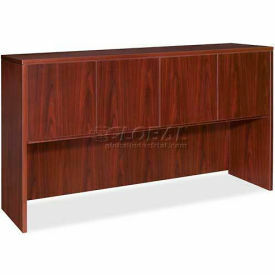 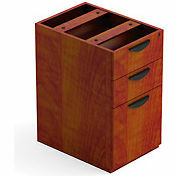 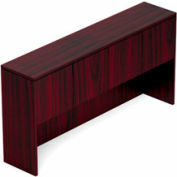 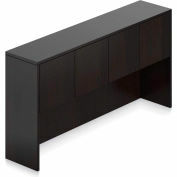 Hutch easily attaches onto 72" wide credenzas and desk shells in this collection. 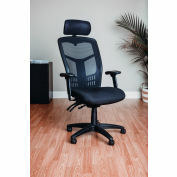 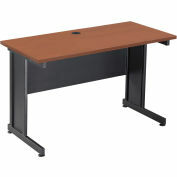 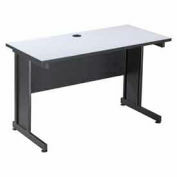 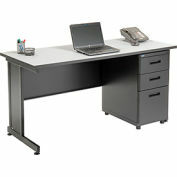 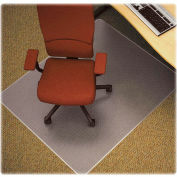 Design includes one grommet for easy cord management, backing, Mahogany laminate surfaces for durability and 3mm PVC edges. 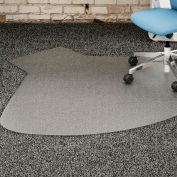 View the Essentials collection here.